There are eight forms of psoriasis. 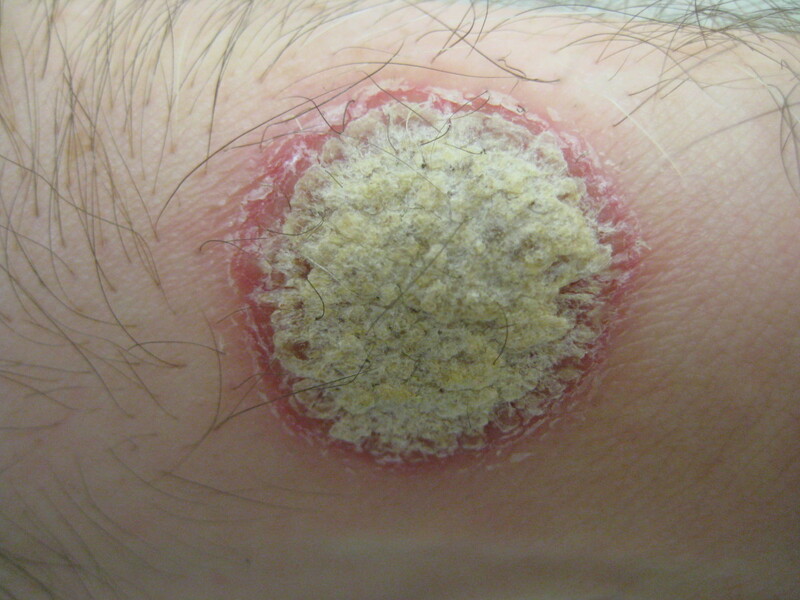 The most common is called plaque psoriasis, and is the subject of this article. About 2% of the world population has skin psoriasis. This article will discuss a view of what psoriasis is, symptoms, specific types of psoriasis, possible causes, treatment, and psychological issues. The prevailing medical view of psoriasis is that it is a disease caused by some kind of trouble with the immune system. A chronic disease subject to flare ups, it causes red patches that have characteristic silvery-white and dry scales. When these scales are scraped or picked off, bleeding occurs. Rather than feathering and gradually diminishing to healthy-looking skin, affected areas with psoriasis patches end abruptly; it is easy to see where it starts and stops. The raised patches that occur are caused by cell growth that is too rapid, thus causing a thickened layer of skin. It is theorized that the body may wrongly believe the skin is damaged in a way that results in too many layers of skin cells. Healthy skin cells are then actually attacked by the body. In this cycle, new skin cells are attacked again and new skin layers are formed. Hence, the thickening of the skin with redness. Old skin does not slough off fast enough before new is deposited. Starting with a single patch or just a few, the patches may disappear in a few months or they may get bigger, growing larger and connecting with other patches. Similar to eczema (psoriasis is not eczema), the most commonly affected areas are: back, back of elbows, front of the knees and scalp. Eczema, on the other hand, most commonly affects back of the knees and inside arms (areas where skin touches). Splotches that are thick can be painful at skin folds, on hands and feet. Itchy skin does occur, but occurs less often than pain. Remission is possible, but most often the condition reappears. The abnormal immune response can be triggered by stress, infection, injury to the skin, cold weather, and smoking. It is estimated that 1/3 of psoriasis sufferers have a genetic relative with the disease. People with unhealthy immune systems are more at risk. Those exposed to high and prolonged stress are also more at risk of developing the disease. Obesity and smoking are risk factors. 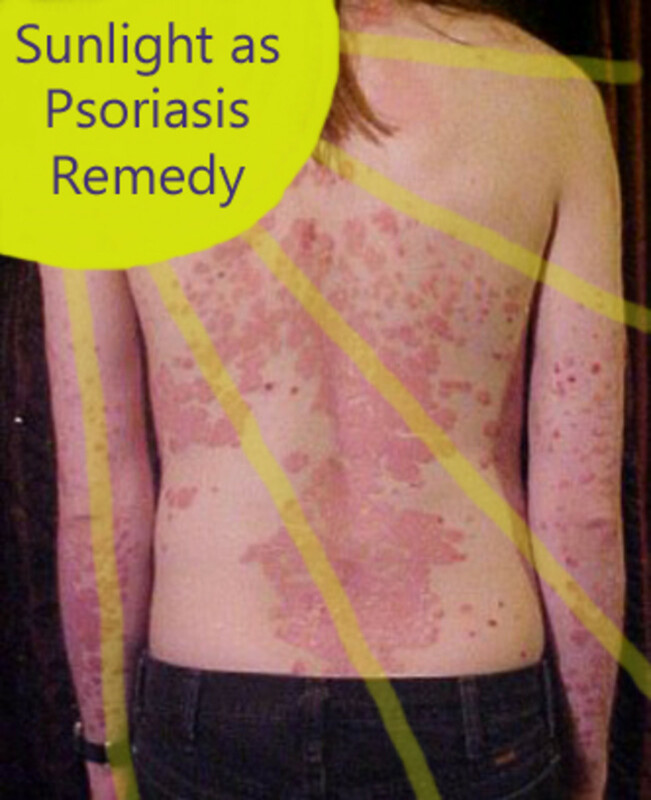 Because of the nature of this psoriasis skin condition, patients with psoriasis frequently fight mental depression. With thickened flaky skin, those affected fear social rejection and can suffer from psychosexual problems. Hence, some patients may seem very reserved or even hide. Seventy-five percent of patients reveal that they "feel angry". Other issues are suicidal thoughts and anxiety. Even commercial ads refer to "the heartbreak of psoriasis." Anything that can reduce stress, including meditation, talk therapy (especially cognitive behavioral therapy) and even psychiatric meds can provide relief from pain and itching. Increased sun exposure brings relief of redness and scales to some people. Improvement may also be seen when traveling to warmer climates or in warmer seasons. Phototherapy (light therapy) has shown to be a good psoriasis skin treatment (plaque psoriasis). In particular, UVB (ultraviolet B) is the best light for treatment. A source of light that produces UVB is used to radiate the plaque areas of psoriasis. The production of skin cells is slowed down when affected areas are exposed to the light. 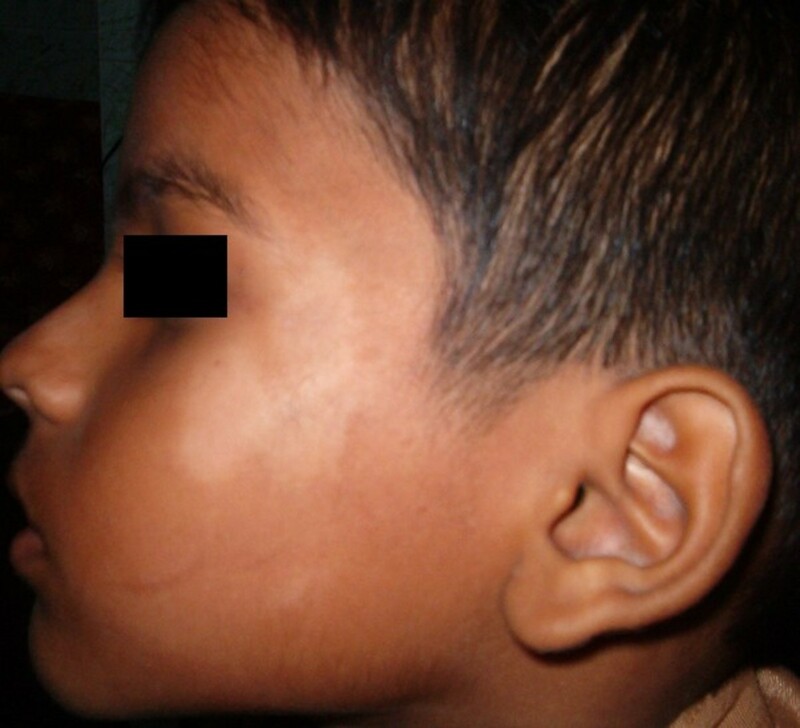 This treatment is considered medical and is given under a physician's supervision. The equipment can be used at a physician's office, skin clinic, or at home. The important aspect of phototherapy is patient consistency. The light should be administered the same amount of time everyday. Initially, low doses of exposure are used to begin treatment. 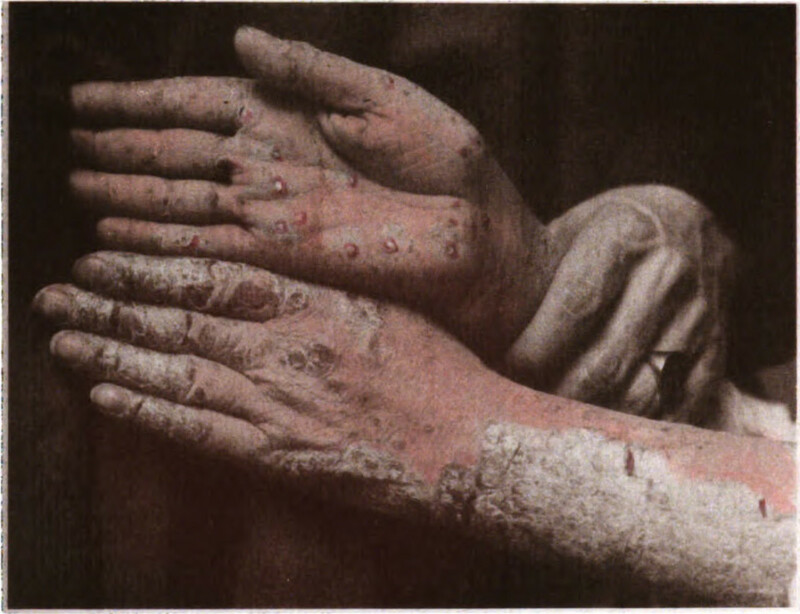 As psoriasis light treatment progresses, a physician will increase the patient's exposure slowly. UVB is a component of natural sun light - it is simply artificially generated by light sources. Since UVB is naturally occurring, exposing affected areas to sunlight can have a positive result slowing the production of skin cells. Exposure to sunlight is economical (no special equipment necessary) and convenient, but still, this exposure for medical purposes to control psoriasis should be done under a health-care professional's supervision. In addition to oral and injectable medications, an important component of dealing successfully with psoriasis is a positive attitude. This attitude may involve changing perceptions about yourself and increasing feelings of self-worth not related to physical appearance. While not pretending this to be a small chore, the effect can decrease negative feelings and replace those with positive ones. For instance, if I have psoriasis and have made my appearance the key to my self-worth, I might start to examine other strengths I have that never seemed to take front stage before. I might focus on the fact that I am intelligent and have dealt with other problems in a successful manner. Focusing on intelligence first can clear the negative baggage and allow me to investigate with more energy alternatives for dealing with the psoriasis. It also can allow me to view those who may be staring at my skin as simply fearful. 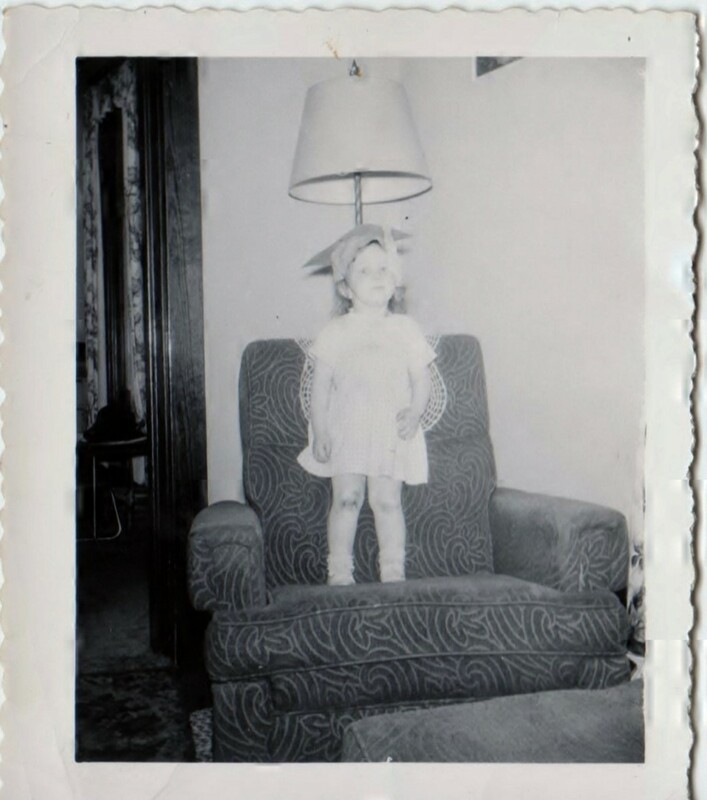 What might be construed as embarrassing may well become an insight that engenders a sense of understanding and or empathy for those around you. There are therapists who specialize in treating patients depressed by disease. Quality of life issues requiring this type of therapy are becoming more important in western medicine in the treatment of psoriasis. The U.S. Food and Drug Administration approved 2 biologics for treating moderate-to-severe chronic psoriasis in 2003. These were alefacept in January and then efalizumab 9 months later in October. Since that time a number of other biologic agents have been brought to market. Laboratory created antibodies and proteins are injected or taken by mouth. Materials that are found in living organisms are referred to as biologics. These substances can be used to fight psoriasis. Skin cells and white blood cells interact to form the scales (plaques). Interleukins or T cells that are causing inflammation are interrupted with biologics. Biologic drugs have reduced inflammation from immune responses by an average of at least 75%. Folks who use biologics need to be monitored closely to identify any negative effects of the drugs. Most people tolerate these drugs safely, but they may lead to infection because of reducing the body's immune response. Cancer has also been seen along with other issues. Another drawback is the cost. These biologics are very expensive. Do you know family, friends, or acquaintances who deal with psoriasis? Does apple cider vinegar treat psoriasis? Treatments vary, but generally creams that have coal tar in them are the most effective. I’ve found that MG217 works the best for me, but most pharmacies have a generic psoriasis coal tar based cream. Thank you for the kind comment and tweet. Happy 2012. Liked you article as a psoriasis sufferer I appreciate a well written publiaction that is informative. I wen ahead and threw a tweet, google +, +. Look forward to your next publication.